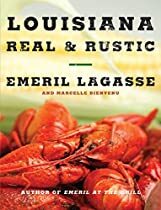 In Louisiana Real and Rustic, Emeril Lagasse presents 150 recipes for dishes that Louisiana is known for. These recipes, gathered from generations of Louisiana cooks include gumbos, jambalayas, itouffies, red beans and rice, fricassees, grillades, meat pies, oyster fries and more. From the bayous and back roads of Acadia Parrish, to the town houses of Creole aristocrisy, Emeril's collection of Louisiana recipes reflects the states customs that originate in France, Spain, Africa, and the Caribbean. Gumbo on Christmas Eve is a Holiday tradition in many Louisiana families. 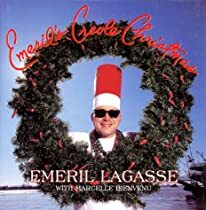 In Emeril's Creole Christmas, Emeril share over 100 recipes and New Orleans traditions for Christmas Eve, Christmas Day, New Year's Eve and New Year's Day meals. Included are Emeril's favorite recipes, stocking stuffer gifts from his kitchen, as well as impressive appetizers and desserts. The result is a collection of culinary delights that cab help any family celebrate Christmas Creole style. 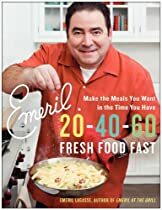 Emeril 20-40-60: Fresh Food Fast contains Emeril Lagasse's recipes for preparing delicious and satisfying meals in 20 minutes or less, 40 minutes or less, or 60 minutes or less. This books is for persons with a busy life who still enjoy cooking, and want freshly prepared meals, but have little time to spare. 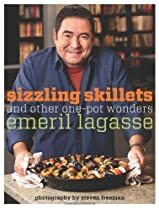 In Sizzling Skillets and Other One-Pot Wonders, Emeril instructs readers on how to prepare hearty meals in their favorite cooking pot -- be that pot a cast iron skillet, a Dutch oven, a hot wok or a slow-cooker.